The Council was formed in the 1980s to provide lay input in assisting the Parish Priest to run the parish. A chairman and vice chairman are elected annually from the membership and a secretary is appointed by the Parish Priest. The Council meets three times a year and holds an annual meeting. All parishioners are invited to attend the latter meeting. Meeting minutes are displayed on the notice board in the narthex or click here to download the minutes of the last meeting. 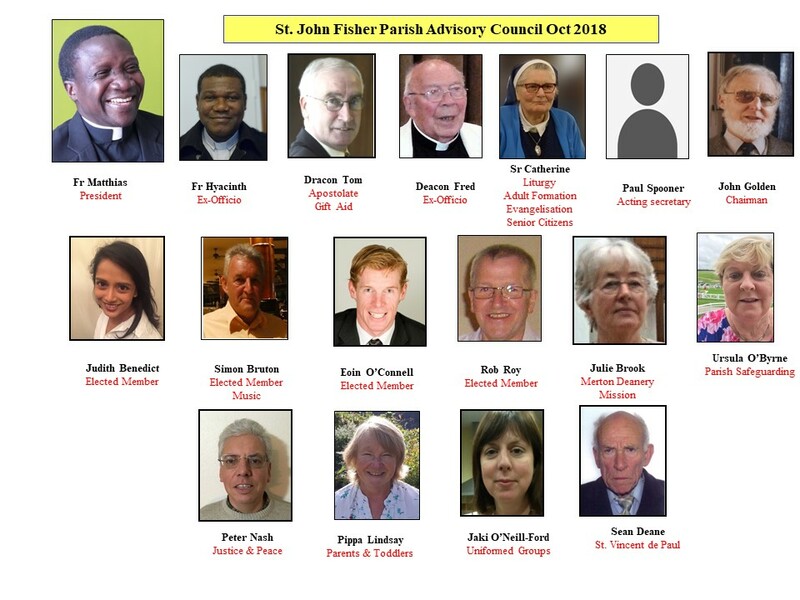 The Parish Advisory Council has had a study made and asked for it to be placed on the Parish web site so that all may see the considerations. Shortly there will be a survey (on-line as well as by paper) and the details will be announced in the Fisherman's Herald.